Jay Krasner, MD, FACP is a private practice physician in general internal medicine at Wayside Health Associates in Sudbury, Massachusetts. He is the founder and owner of his solo primary care practice that has a strong emphasis on achieving and maintaining an optimal level of health for each patient. He is also an active medical staff member of Emerson Hospital in Concord, Massachusetts. 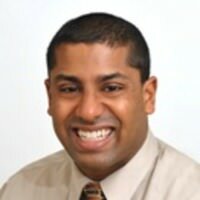 Dr. Noronha was born and raised in Rochester, NY. He attended Boston University for his undergraduate and medical school training. He stayed at Boston University for his internal medicine residency and chief residency. After chief residency he accepted a position at Boston Medical Center as a medical educator splitting his inpatient time between primary care and inpatient ward attending. Dr. Noronha was the director medicine consult service including being the clinic director for the Boston Medical Center Pre-procedure clinic for several years. Dr. Noronha is currently an associate program director for the Internal Medicine Residency at Boston University School of Medicine. He has served on Association for Program Directors in Internal Medicine E-Learning and Communication Committees. Dr. Noronha is the Director for Quality Improvement Education at Boston Medical Center. He directs the quality improvement curriculum for the residency and leads the Quality Improvement and Patient Safety (QIPS) pathway. He also directed the ambulatory curriculum for the residency program. Dr. Noronha’s academic work focuses on career preparation, residency scheduling and quality improvement. He has presented several national workshops on subjects including fellowship and job preparation, trainee professionalism, ambulatory curriculum, and residency scheduling systems. Dr. Noronha acts as a mentor for medical students and residents. While he has a great appreciation for academic medicine, he believes strongly that each trainee should choose a career path that best fits with their individual values and goals. He takes pride in seeing his mentees move on to a variety of fields and areas of practice. In his free time Dr. Noronha enjoys spending time with his wife and 3 young daughters. He is an amateur aquarium enthusiast, enjoys exercising, and is still an avid Buffalo Bills fan despite decades of futility. 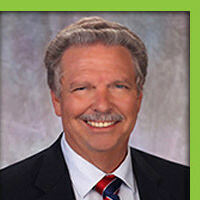 Thomas LaGrelius, MD, FAAFP is a family practice physician in Torrance, California at Skypark Preferred Family Care. He is board certified in Family Practice and Geriatric Medicine. He finished his residency at Los Angeles County-University of Southern California Medical Center. Dr. Cristin A. Dickerson is the founding partner of Green Imaging. Dr. Dickerson was born and raised in Texas. She is a graduate of Baylor University and University of Texas Medical School at Houston where she was elected to Alpha Omega Alpha Honor Medical Society. Dr. Dickerson did a clinical internship at St. Joseph Hospital in Houston and her radiology residency at UT Houston where she was a chief resident, and received extensive training in cancer imaging at MD Anderson Cancer Center. Dr. Dickerson practiced 13 years at Diagnostic Clinic of Houston where she served as two-term president of the 50 physician clinic. She currently practices radiology as a partner in Radiology Group of Houston. Her clinical interests include oncologic MRI and CT and PET/CT, breast imaging and cardiac screening. She founded Green Imaging to provide affordable, high-quality medical imaging for uninsured and high deductible patients in Houston and rapidly expanded the company to provide services throughout Texas. She loves being able to provide quality services to patients who otherwise couldn’t afford it and providing significant imaging cost savings to patients with healthcare coverage and their employers without compromising quality. Dr. Dickerson is passionate about spreading the word that patients and employers do have great new nontraditional health care coverage options in the emerging free health care market. 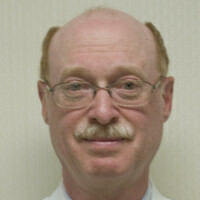 Currently, Dr. Weiman is a Professor of Surgery with tenure at the University Of Tennessee Health Science Center. He was the Chief of Surgery at the Veterans Affairs Medical Center in Memphis from 2004 through 2017. From 2009 to 2015, Dr. Weiman was the Veterans Integrated Service Network 9 Chief Surgical Consultant where he was responsible for the Veterans Affairs Surgical services for Tennessee, Kentucky, and the western half of West Virginia. He is Board certified in both Thoracic Surgery and Surgery. Dr. Weiman has published over 80 scientific articles and 8 book chapters related to surgery and medicine. He is the author of two books, Medical Malpractice—A physician’s guide to navigating the minefield of medical malpractice law, and Fundamental Issues in Health Care Law—Facts for the Health Care Professional. Dr. Weiman is now an invited contributor to the Huffington Post where he writes on Health Care Law issues. He has over 40 articles published in this venue. He has been an invited reviewer for several medical journals and has served on two study sections for the NIH. Dr. Weiman was the Chief of Cardiothoracic Surgery and the Program Director for the Cardiothoracic Residency from 1998 to 2012 for the University of Tennessee. 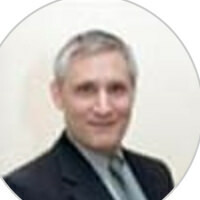 He has experience in both Undergraduate and Graduate Medical Education. As the Chief of Surgery at VAMC Memphis, Dr. Weiman is in charge of a large surgical service (over 70 FTE) where all of the surgical subspecialties are his responsibility. He has been successful in making budgets, hiring surgical faculty and other health care practitioners, forming contracts, designing an OR reconstruction and formulating strategic plans for the surgical service. Dr. Weiman has done both basic science and clinical research and has collaborated on several studies with other medical and surgical disciplines. He has been a visiting professor at several academic centers. He was successful in going through law school while maintaining an active practice as a Cardiothoracic Surgeon. He passed the Bar Exam for Tennessee and is licensed to practice law (but he does not). He has served as a consultant for the United States Attorney for the Western District of Tennessee and was a member of The Leo Bearman Inn of Court for Memphis. He has consulted on the Health Care Plan of a former candidate for President of the United States. Dr. Weiman’ s current interests are undergraduate, legal, and medical education, health care law, new models for providing health care, and financing and performing medical research. He maintains an active practice as a cardiothoracic surgeon. An internationally recognized expert in vascular and interventional radiology, Brian Funaki, MD, performs the full range of vascular and non-vascular interventions, including angioplasty, stenting, thrombolysis and embolization, as well as transplant-related procedures. Guided by state-of-the art imaging techniques, Dr. Funaki manipulates and directs tiny instruments throughout the body for both diagnostic and treatment purposes. These minimally invasive procedures are often used as "smaller, faster, safer, better" alternatives to traditional open surgery. Dr. Funaki's research activity is focused on vascular intervention, gastrostomy, and super selective embolization. He has more than 200 publications listed in the U.S. National Library of Medicine on a broad range of vascular and non-vascular image-guided interventions. The vast majority of his research is focused on patient care and immediately translated to clinical practice. I have worked as a family physician in clinical medicine for over 30 years - with a focus on enhancing the body's inherent ability to heal and express health. As a Board Certified Family Physician, I offer integrative medicine consultations and osteopathic manipulative medicine to individuals of all ages. With attention to each individual's unique experience, I work in partnership with patients to identify and address the source of their symptoms and explore ways to ease stress and enhance vitality. I integrate advanced training in nutrition, mindful practice, biodynamic osteopathy and integrative medicine into my work. Adjunct Clinical Assistant Professor in the Department of Clinical Medicine at the Pacific Northwest University of Health Sciences: I teach classes on osteopathic principles and practice, and mentor medical school students and residents. Founder of Rediscovering Meaning In Our Work: I have developed a consulting and educational program with a focus on the well being of physicians and medical school students - includes workshops, retreat-like conferences, presentations, individual and organizational consultations and discussion groups. Director of The Health and Well Being Program for Flow Aquatics Swim School: I work closely with company executives to develop and integrate a unique, cutting edge wellness program in alignment with their organizational vision. I also offer monthly workshops and individual consultations to explore nutrition, mindful practice, yoga and other approaches to ease stress and enhance health. Speaker at medical conferences nationwide: I contribute to medical conferences and events - exploring ways to enhance physician health and well being and facilitating interactive discussions on the science of mindful practice and the cultivation of compassion in healthcare. Founding Member of the Ada County Medical Society's Wellness Committee: I am actively involved in several statewide initiatives focused on enhancing physician health. Our team developed The Physician Vitality Initiative - a progressive program that offers a confidential counseling service as well as a myriad of resources to physicians. Faculty for Wellness for Doctors: I contribute as a retreat co-teacher and professional coach. Writer for Finding Health blog: I write articles about evolving concepts in health care and also contribute to other medical blogs. 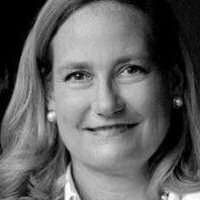 Dr. Janice Litza is a practicing Integrative and Family Medicine Physician who began her career in academic medicine, transitioned to a federally qualified health center in an urban community, and is now Regional Medical Director for a large faith-based health system. When Dr. Litza graduated residency in 2001, her first position was as faculty for family medicine with Aurora Health Care and her practice site was in a disadvantaged community and included full spectrum of family medicine, from OB to hospital care and clinical practice. She was medical director of this small clinic and her academic interest was in professional development and competencies, which created opportunity to become assistant program director and then advanced to program director for Northwestern Feinberg School of Medicine. Dr. Litza decided to transition out of academics after an interim role as Director of Faculty Development for Aurora Health Care to become Chief Medical Officer for Milwaukee Health Services, Inc, a group of FQHC clinics. 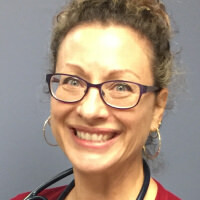 Missing day-to- day clinical care, Dr. Litza decided to return to ambulatory clinical practice, after 13 years of OB and hospital-based care, and pursue fellowship training in Integrative Medicine at University of Arizona. Believing this is the future of health care with a holistic, wellness focus, she is now putting her commitment to caring for all patients and her leadership experience to a new position as Regional Medical Director for Primary Care with Ascension Wisconsin. Her interests outside of medicine include reading, cooking, spending time with family, and outdoor activities such as long walks and hiking. Dr. Hon Ho is a Pediatric, Adult, and Geriatric/ECT Psychiatrist and a Lecturer/Instructor in Psychiatry at Harvard Medical School (McLean Hospital) and Tufts School of Medicine. He works on the inpatient unit, and has a private practice. Dr. Ho has presented on Autism, Bipolar Disorder, Pathological Gambling, and Pediatric Psychiatric Disorders. He completed his Fellowship in Child and Adolescent Psychiatry at Johns Hopkins in 2012 and his Residency in Psychiatry at University of Colorado in 2010. 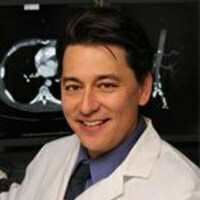 Dr. Ho holds both an MD and an MPH from Oregon Health and Science University. He obtained his undergraduate degrees in Economics, Biochemistry, and Mathematical Sciences from University of Washington.